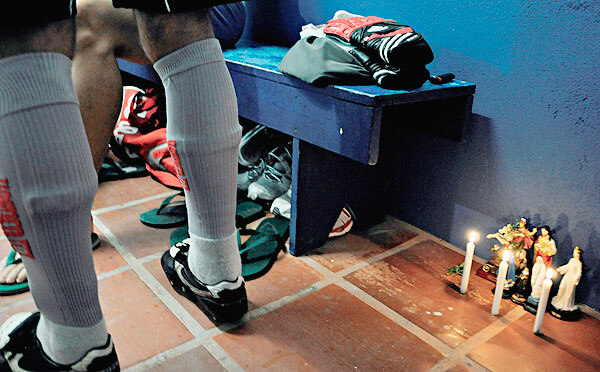 The photographer Gilberto Perin organized an exhibition entitled "Vestiário" (Dressing Room) that is displayed at the Sao Paulo Soccer Museum. The author's idea is to present the behind the scenes of a soccer team off the field. The exhibition brings photos, objects, art and video mapping that introduces the unknown "dressing room". To gather this material, the photographer followed the Grêmio Esportivo do Brasil, during the competition for the title of the 2nd Division League 2010 on the Rio Grande do Sul State. It's worth a visit, especially if you do not know this museum!